Fast Retailing, the Japanese firm behind such brands as Uniqlo, Theory, Comptoir des Cotonniers, and J Brand has opened its first facility devoted to the research and development of denim fabric. Based in Los Angeles, the Denim Innovation Center seeks to bring together specialists from its various subsidiaries to advance technological and material innovations in the realm of jean creation. Fast Retailing says that Uniqlo and J Brand will be the first to benefit from the center’s work, which may manifest itself in products as early as next fall. “By establishing the Denim Retailing Center in Los Angeles, the global hub for information on denim, Fast Retailing will be able to quickly incorporate the essence of current trends in its designs,” the company said in a press release. 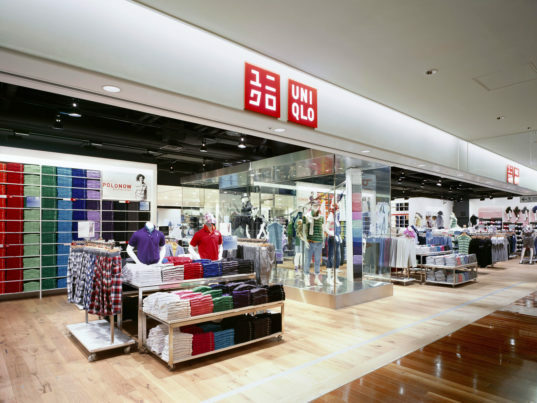 Fast Retailing typically outsources sample production and other operations to third-party manufacturers. The Denim Innovation Center, on the other hand, will allow the company to conduct the process in-house, a move that it says will “considerably” improve the speed and quality of product development. Contractors will be able to use the resource-packed facility as a research hub, particularly when it comes to creating eco-friendlier processing and production techniques—washing and distressing included. It will also loop in longstanding partners like Kaihara, one of Japan’s leading manufacturers of premium denim and a frequent Uniqlo collaborator. The Denim innovation Center’s main purpose is to “create exceptional products for times,” according to Fast Retailing. “Focusing on the ‘3Fs’ (fabric, fit, and finish), the key elements in making jeans, the center will develop fabrics with the world’s leading fabric makers, as well as conduct R&D on the latest production technologies, to make jeans that look exceptional and are comfortable to wear,” it added. Fast Retailing, the Japanese firm behind such brands as Uniqlo, Theory, Comptoir des Cotonniers, and J Brand has opened its first facility devoted to the research and development of denim fabric. Based in Los Angeles, the Denim Innovation Center seeks to bring together specialists from its various subsidiaries to advance technological and material innovations in the realm of jean creation. Fast Retailing says that Uniqlo and J Brand will be the first to benefit from the center's work, which may manifest itself in products as early as next fall. "By establishing the Denim Retailing Center in Los Angeles, the global hub for information on denim, Fast Retailing will be able to quickly incorporate the essence of current trends in its designs," the company said in a press release.